How frustrating it is to know a word well, how to spell it and when to use it, but when you say it, you get stuck. You mix the sounds or you’re just not super confident using it. We all have these words. And of course, thanks to Murphy, it always happens when you have to be at your best. I know this feeling so well. This is why I made this video for you today. In this video I’m going to teach you an important rule that will clarify and simplify how to pronounce long words, or more specifically words with suffixes (…and yes, of course there are exceptions, it’s English, after all). 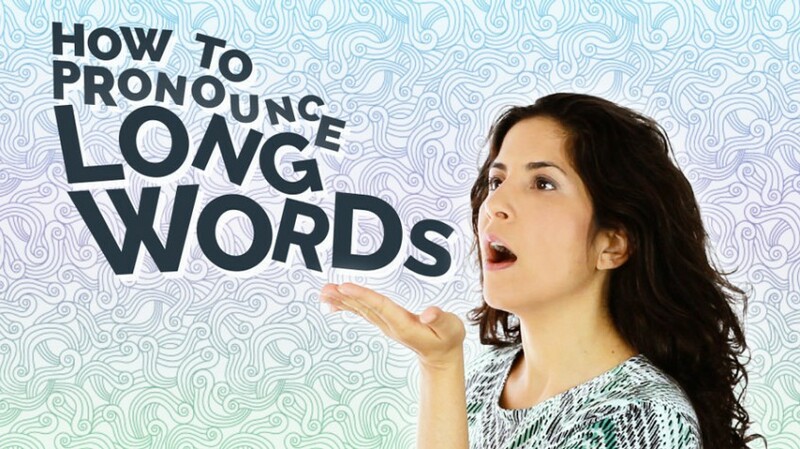 Watch today’s video to learn the secret rule behind pronunciation of long words in English. The best way to remember and assimilate is to take action and practice! This is why I prepared for you an audio practice of suffixes and example words. Practice pronouncing the suffix, then use it in words. Pay close attention to stress (in bold) – it is one syllable before the suffix. Thank you so much, Hadar I’m super impressed with the great explanation that you make. Very good video! Thank you so much, Hadar! The “Play to practice” does not work for me. It seems that the referred mp3 does not exist anymore. Thank you so much forThank you so much for such super professional videos. I really enjoy them. such super professional videos. I really enjoy them. Thank you so much for such super professional videos. I really enjoy them. keep up the good work! I love your videos!!! thanks so much.